[Album Review] Marsha Ambrosius- Great Forecast for "Late Nights & Early Mornings"! 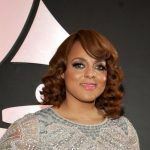 From her notorious “Sextapes” series to her beautifully haunting first album release, Far Away, Marsha Ambrosius doesn’t fail to live up to the anticipation in her album, Late Nights & Early Mornings. Fully stepping away from the days of Floetry, Ambrosius makes an impressive statement in her first solo project. 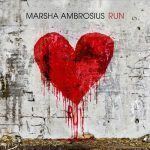 Known for her feathery vocals and proven songwriting and production, this album brings an incredibly emotional, sensual, and mature experience which fits Marsha brilliantly. With the calm thunders of the intro Anticipation, the album seductively positions your imagery to a quiet storm that is sure to brew other “things” in the forecast with the Alicia Keys collaboration song, With You. Celebrated for her orgasmic riffs in Say Yes, Ambrosius brings that reminiscent element to this very flirtatious piece. If that wasn’t enough to stir a rush, the self-titled cut, Late Nights & Early Mornings, skillfully brings the component of Prince’s infamous snare production which will definitely bridge your calm thunders to some serious lighting. 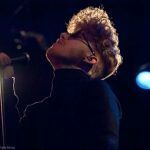 In her recent release, Far Away grabs the heart with intensity. Great in its storytelling, this cut directs you through the hurt and pain of a broken relationship which tragically turns into a further loss. The double meaning of Far Away makes this cut as unforgettable as hip hop producer, Just Blaze’s surprising production on this piece. Channeling a time gone by, Marsha taps Motown songwriter, Norman Whitfield on the shoulder and brings a regretful plea in her song, Tears. What Marsha brings to this song is not just the required emotion but her own unique flavor of soul which is distinctive and passionate. Also channeling another great icon, Marsha masterfully brings the spirit of Michael Jackson in the song, I Want You To Stay. Originally intended for Jackson shortly before his death, you can’t help but visualize his voice on this piece especially with the signature riffs from Human Nature and the general spirit of this song. Overall, Marsha Ambrosius’ Late Night & Early Mornings is an awesome piece of work. From its lyrical content to its impressive songwriting and production, this is definitely a CD you want in your collection. Without question, this project is “GROWN FOLKS MUSIC” certified!! Preview the album yourself and check out her concept behind the songs, I Want You To Say, With You and Lose Myself in the following videos.